Imagine a world where butterflies transform into treacherous creatures and inhabitants worship plants. 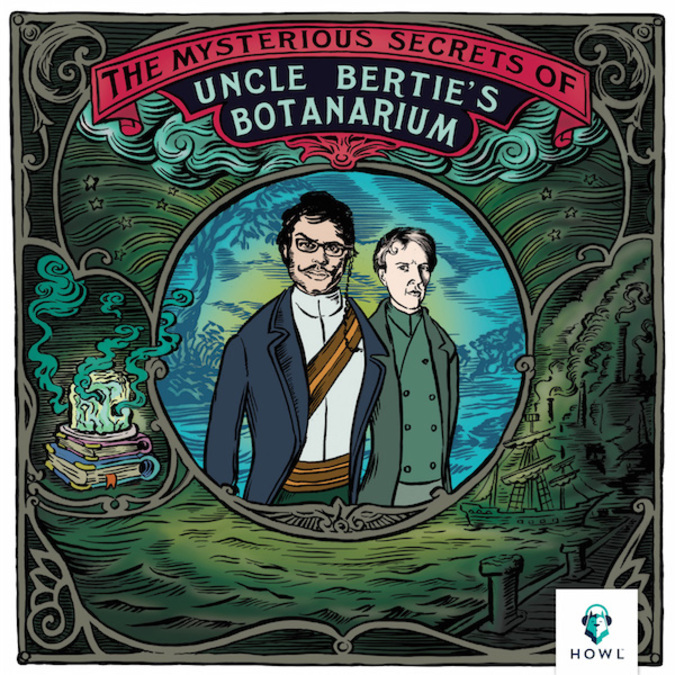 This parallel universe comes to life in a new scripted podcast series, “The Mysterious Secrets of Uncle Bertie’s Botanarium,” which launched March 16 exclusively on Howl. Actor, comedian and multi-instrumentalist Jemaine Clement — whose appearance marks his first return to audio since launching “Flight of the Conchords” as a radio series for BBC Radio 2 in 2004 — lends his voice as the podcast’s lead character, Lord Joseph Banks. The inspiration or “The Mysterious Secrets of Uncle Bertie’s Botanarium” lies within the real-life adventures of 18th century botanist Joseph Banks . In 1766, he traveled to Newfoundland and Labrador and then ventured over to Brazil, Tahiti, New Zealand and Australia with Captain James Cook from 1768-1771. Listeners will hear a fictional account of a Banks sea voyage set in a universe much like ours, with a few creative twists. On the perilous journey, Banks and his crew encounter boiling oceans, cannibalistic sausages and perhaps even Uncle Bertie himself. The podcast was written and produced by a trio of New Zealand–based talent: writer and director Duncan Sarkies, musician James Milne (who records under the pseudonym Lawrence Arabia) and artist Stephen Templer. In addition to Clement, the cast includes an ensemble of artists from Wellington, New Zealand. The production features original music by Lawrence Arabia and audio design by Nic McGowan and Thomas Press. “The Mysterious Secrets of Uncle Bertie’s Botanarium” is available exclusively on the Howl premium service, available for iOS, Android and at howl.fm . Howl is an audio curation and listening platform launched in 2015 by leading podcast network Midroll Media, a wholly owned subsidiary of The E.W. Scripps Company (NYSE: SSP). The podcast will be released weekly on Wednesdays in 12 episodes. A second season is already being planned. The show joins Howl’s illustrious and growing roster of exclusive content. In fall 2015, Howl launched “Something Cool,” an audio documentary series that uncovered the stories of pop culture’s most influential personalities. In February, multi-talented actress Issa Rae, known for her hit YouTube series “The Misadventures of Awkward Black Girl,” launched “Fruit,” an audio drama that follows the story of a professional football player who also happens to be gay. New subscribers are invited to try Howl using the promo code BERTIE when signing up at howl.fm .